On the way from Ranong to Petchaburi we took a travel stop for two nights at Chumphon in Thailand. Our plan was to stay one night at the “Easy Divers” guest house. 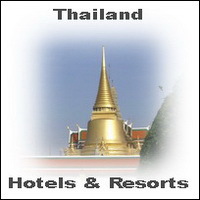 More guest houses in Chumphon you will find in your Lonely Planet Southeast Asia. At the first evening we go for dinner at the Kaew Sukiyaki Restaurant. After we look a bit around in the city. Than we found a Thai-Disco. The “Papa 2000″ had a life show so we was staying till the end and we was not able to wake up next morning to reach the bus to our next destination. 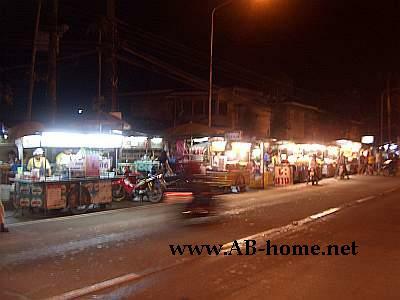 The second evening we was on the Chumphon Night market to catch some Thai Food. Before we took the bus from the bus terminal we had a good backpacker Breakfast at the “Farang Bar”. Chumphon had not much to offer for us. We saw already many temple and cities in Thailand. After a while everything looks similar to other places when there is nothing really special. But still Chumpon is a good stop for traveler and backpackers on the way up to north or central Thailand. This is a good blog and I look forward to reading it. The locals in Chumphon always make me happy. Even in difficult times, I often see some of the Thai sanook coming through.